Trained in dentistry, Sree is currently pursuing lab sciences. She loves researching and sharing information on various health topics. "Slipping rib syndrome" may sound like an uncommon medical condition, because the ribs are held in place by ligaments, cartilage, and muscles. However, this condition does occur—although it is rare. Slipping rib syndrome occurs when one of the ribs intermittently slips out of place, thereby stretching the ligaments that support the front and back of the affected rib. In most cases, the ligaments attaching the ribs to the sternum (sternocostal ligaments) are rendered weak, producing mild to severe pain in the thoracic and abdominal areas. It is often misdiagnosed because the pain felt in the chest can be likened to the pain one feels when having a heart attack or stroke. Much of the research on this condition is oriented toward finding treatment for pediatrics and young athletes, because this condition is more common in these two groups. However, adults can also fall victim to this syndrome while doing things that may cause strain to the chest area. The causes can range from coughing heavily all the way to chest surgery that may not have been related to the syndrome at all. In the succeeding sections of this article, you will learn more about this condition, including its causes, symptoms, diagnosis, and treatment. You will also find out the different risk factors and other important information about the condition. Let this article help you understand how to handle it if it happens to you or one of your loved ones. What Is the Slipping Rib Syndrome? The human body has a rib cage that consists of 12 pairs of ribs. The upper 7 pairs are attached to the sternum via the costal cartilage, and into the vertebrae in the back. This means that the top 7 pairs of ribs are firmly attached on both ends. The intercostal muscles, located between the pairs, also help in making sure the ribs stay in place. The next 3 pairs are also attached to the vertebrae at the back, but it is not directly attached to the sternum. Instead, the ends of these 3 other pairs are attached to one another via the costal cartilage, and the sternum provides additional segment to the cartilage. The 1st seven pairs are usually referred to as the true ribs, while the next three are the false ribs. The last 2 pairs are the floating ribs, because they are attached to the vertebrae in the back, but they are not attached to anything in the front, neither are they attached to one another via a cartilage. The slipping rib syndrome affects the area of the thorax. 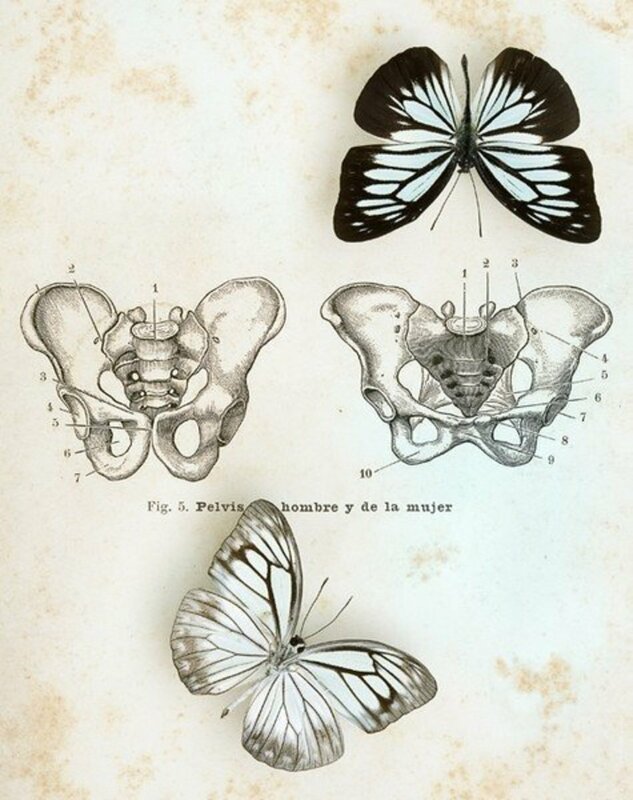 In the thorax, the sternum, the different pairs of ribs, muscles, nerves, veins, and arteries are found. Dislocation may affect any of the ribs; however, the lower ribs are most vulnerable because they are not attached as firmly as the upper 7 pairs. The floating ribs are not as susceptible to slipping. In most cases, though, one of the pairs of the 10th rib, which is the lowest of the false ribs, may experience slippage. This medical condition was reported as early as 1919 by Cyriax. This is an often misdiagnosed or under diagnosed condition. It can be the source of months (even years) of persistent pain in the lower chest area that may extend to the upper abdominal area. The affected area feels tender and pain becomes intense when the area is pressed. Doctors call the condition by different names, such as clicking rib, displaced ribs, slipping rib cartilage syndrome, interchondral subluxation, Cyriax's syndrome, the 12th rib syndrome, or painful rib syndrome. Studies show that the condition affects roughly 20% to 40% of the general population. It may happen at any age, but it is not common in children, and the middle-aged are usually affected. More females are affected than males. People who are into sports are more at risk, especially hockey and football players, and swimmers. The syndrome may appear to be a common chronic pain syndrome. It is often caused by hypermobility of the rib cartilage that attaches the false and floating ribs. This causes the costal cartilage tips to subluxate, thereby irritating the intercostal nerves. Hypermobility can be caused by abdominal or thoracic trauma, which is often dismissed, ignored, or forgotten. Other possible causes could be previous abdominal surgery and constrained posture. A lengthy discussion on the causes and symptoms are in the succeeding sections of the article. This is a condition that is often unreported or assumed as a different condition. It can be one of the causes of unrelenting pain in the upper abdominal and thoracic areas, which can go on for days to weeks. If the condition is left undiagnosed and untreated, it can disrupt your daily activities. The pain felt around the chest and abdominal areas due to a slipped rib, causes confusion among patients and doctors. Most people associate the pain to a more serious heart condition. Patients would need to be thoroughly tested to determine the specific causes of the pain, for doctors to arrive at a more accurate diagnosis. A variety of activities could cause the condition. It can be due to lifting, bending, or twisting that has caused the rib to slip from its normal position. Trauma to the body is also a possible cause – like in sports, being tackled hard on the side; getting hit by a car in a mishap; prolonged or forceful coughing and sneezing; or uneven lifting of heavy items, like bags or luggage. Doctors have identified that the main reason for ribs to be out of position is the weakness of the ligaments that are supporting the ribs to stay in place. When there is no muscle support, these weakened ligaments will cause the ribs to easily slide out of position. When this happens, the weakened ligaments will stretch out as the ribs continue to slip, thereby causing too much pain in the areas around the chest and the abdomen. Pain is a result of the strain brought about by slippage on the nerve that runs through the ribs. The most common cause of the slippage is extreme trauma to the lower rib cage. Simple coughing caused by bronchitis, asthma, or allergies that strain the costochondral and sternocostal ligaments can escalate the pain. Even blowing your nose too hard to relieve sinusitis may stretch the ligaments more, which may eventually cause chronic chest pain. It can also manifest after a chest or heart surgery from an unrelated medical condition. When a patient is under surgical resection, stress is put on the ligaments and the nerves that are attached to the ribs. While the manipulation of the chest during a surgery is an integral part of the procedure, it will likely precipitate to trigger slippage of the affected rib. Swimmers are most likely to suffer from slippage because of the continuous hypermobility of the 8th, 9th, and 10th ribs. Since these 3 pairs are the most abused, it can result to the weakening of the associated chest muscles, as well as weakening of the ligaments. Sternocostal, costochondral, and costovertebral ligaments are fragile. The slightest injury on the ribs or overuse of the ribs can weaken the ligaments, thereby causing slippage. Muscle degeneration. If the muscles that are attached to the sternocostal ligaments get damaged, it may cause the rib to slip out of position because there won't be ample support anymore. Surgical procedures of to remove lymph nodes found in the different parts of the body, like the heart, lungs, breast, and chest. Allergies which can cause excessive sneezing and colds. The symptoms are similar with those of heart attack and other chest and heart conditions. There is extreme pain that radiates from side-to-side of the chest. Often, patients would also feel pain in the lower part of the chest, just above the upper abdominal areas. If left undetected, it can escalate to the acute stage, which will cause, among other things, excruciating pain. Patients would normally complain of difficulty in breathing because every time they take breaths, the pain becomes too unbearable. The slightest of coughs may also cause unbearable pain in the chest area and the costal margin. Simple movements like bending and turning to the other side while asleep is painful. Even the process of wearing a bra can become uncomfortable because of the pain. Acute attacks bring about extreme pain, but when the attacks subside, the pain will become constant, but dull. The ribs may be tender when touched and there is also a tender part on the ribs that when pressure is applied, there is excruciating pain. Slipping rib syndrome will prevent you from doing even the simple activities that you perform every day. Pain may extend to the back and there could be occasional "clicking" or "popping" sounds when you move. You will sometimes feel that the ribs have gone farther out of position. Simple movements like rolling out of bed, getting up from a sitting position, climbing up the stairs, and even yawning, can trigger the unexplainable pain. Patients suffering from the condition will experience excruciating pain that is felt in the lower chest and/or upper abdominal areas, which is a result of trauma to and/or dislocation of the false ribs (8th, 9t, and 10th ribs). The false ribs' hypermobility may result in the weakening of the ligaments that hold the ribs in their proper places. The symptoms may appear to be unilateral, but there are reported cases of bilateral pain. Patients describe the pain as constant and monotonous that can last for several hours up to weeks. The pain may also result in several somatic and visceral complaints. The dislocation of the rib may cause the irritation of the intercostal nerve, lower costal cartilage sprain, strain on the intercostal muscles, or the inflammation of the affected area. Swimmers can also suffer from shoulder impingement syndrome (inflammation of the tendons of the rotator cuff muscle) that may result in further pain and slipping sensation. Putting pressure on the tender spot, causing more pain. The slipping rib syndrome is also diagnosed as Tietze syndrome. Alternatively, doctors refer to the condition as Chondropathia Tuberosa or Costochondral Junction Syndrome. What is the Tietze syndrome? How is it different? Tietze syndrome was identified to be a rare condition. The inflammatory disorder characterized by chest pain and swelling of the upper ribs or the costochondral junction, specifically where the ribs are attached to the sternum (or breastbone). Pain may manifest gradually or suddenly, and may be felt, aside from the thoracic area, along the arms and shoulders. It is a localized pain and there is tenderness in one or more ribs. Most commonly affected are the 2nd or 3rd ribs. In most patients, the cartilage of just one rib may be affected. There is a firm and spindle-shaped swelling in the cartilage of the slipped rib. The pain worsens due to strenuous activities, coughing, or sneezing excessively. It is a benign condition, and in some cases, the symptoms may disappear without taking medication and undergoing treatment. The exact cause of this Tietze syndrome or rib slippage has not yet been known. A German surgeon discovered the condition, Alexander Tietze and later discussed in a medical literature in 1921. Young adults may manifest as an individual reaches the age of 40 years. Though it is a rare occurrence, infants, children, and the elderly may be affected. Athletes and people who are on hard manual labor could be vulnerable to developing this condition. There are other medical conditions that resemble the symptoms of Tietze syndrome. It is important for doctors (and patients) to be aware of these. Comparisons are useful for differential diagnosis. Chest pain is the general term used for conditions characterized by anterior chest pain. Patients feel dull and aching pain which could be the body's response to inflammation, strain, malposition, and/or the infiltration of the muscles, bones, cartilages, and ligaments, on the chest wall. There is irritation of a nerve root along the neck down to the spine or a fractured rib that may result to pain the chest wall. The treatment to be used should focus on the underlying cause of pain. Part of this group of painful conditions is Tietze syndrome. Costochondritis (or Costal chondritis), is common, where there is inflammation in the cartilages. It can affect one or more ribs. There is pain around the chest area and may radiate into the other parts of the body. Often, the terms Tietze syndrome and costochondritis are interchangeably used. However, Tietze syndrome manifests with extreme swelling, with piercing pain. On the other hand, in costochondritis, unbearable pain is present, but without the swelling. 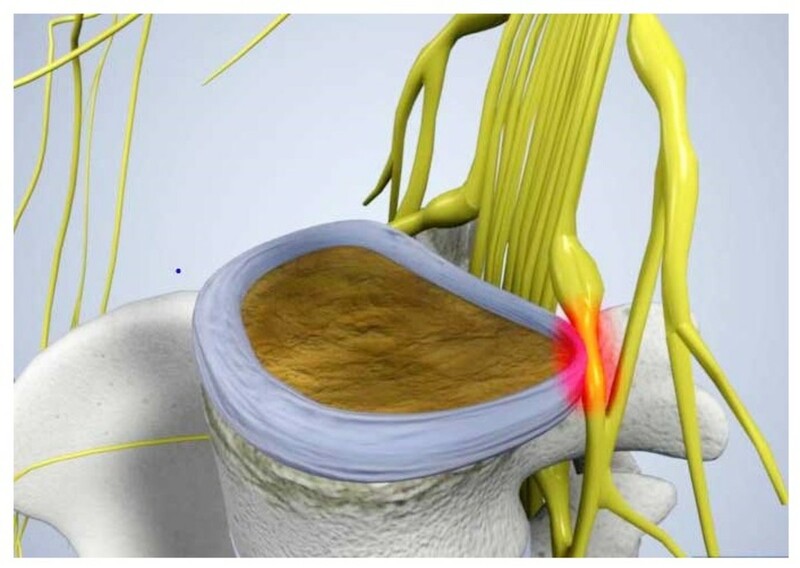 Spinal root lesions (compression) may cause sudden, sharp, and piercing pain or a simple and deep aching discomfort on the chest area. Pain is usually felt when you make a sudden movement of the body, like laughing or coughing hard. Other medical conditions that may have similar symptoms as Tietze syndrome: ankylosing spondylitis, pneumonia, fibromyalgia, seronegative arthritis, and coronary heart disease. Some forms of malignant lymphoma cause pain and swelling that can be likened to that in rib slippage. Costochondritis is the inflammation of the cartilage that attaches the ribs to the sternum. Other cartilages might be affected, on both sides, but it is more common that the damage is only on one side. The condition commonly affects the cartilages on the upper ribs. Its symptoms are often related to that of Tietze syndrome. There is no swelling in costochondritis. Pain may range from mild to severe. In mild cases, the chest may only feel tender when touched and pain is felt when pressure is applied to the chest area. In severe cases, shooting pains could be felt that may extend down the limbs and there is agonizing pain felt in the chest, which interferes with your activities. Despite taking pain killers, pain doesn't seem to go away. It may last for a few days to weeks before pain completely goes away, and some cases may require further treatment in addition to taking pain relievers. Tietze syndrome is the inflammation of the costochondral cartilages of the upper frontal area of the chest, with swelling of the joint. Both Tietze syndrome and costochondritis are characterized by localized pain and tenderness of the frontal area of the chest. However, Tietze syndrome may also result in the swelling of the ribs and cartilage near the sternum. There are redness and tenderness on the area, as well as feelings of warmth. The localized swelling is Tietze's most distinguishing symptom. Pain might be variable, sharp, and can be confused with the pain related to heart conditions. Pain may last for hours to weeks. 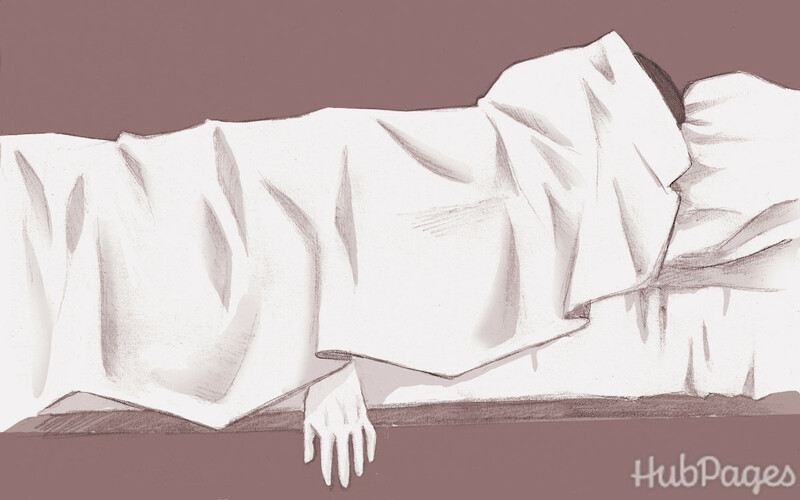 The patient might have difficulty in sleeping and movements, while lying down may be painful. Viruses and infections like tuberculosis and syphilis that may cause inflammation in the joints. Injury (trauma) to the chest, like a blunt impact caused by a car accident or a bad fall. This is an independent medical condition by itself, but it can also be a part of a more extensive disorder. Some of the illnesses that may include costochondritis as symptom are fibromyalgia, reactive arthritis, inflammatory bowel disease (like ulcerative colitis), lupus, and psoriatic arthritis. Women who are 40 years old and above are most commonly affected, especially those who constantly carry heavy bags and backpacks. A person, whether male or female, may be more vulnerable if they participate in high-impact activities and exercises, do manual labor, and have allergies and often exposed to irritants. People who are suffering from these conditions may also be at risk: rheumatoid arthritis, ankylosing spondylitis, and Reiter's syndrome (reactive rhinitis). Cholecystitis – is the inflammation of the gallbladder. The gallbladder is located near the abdomen, so it is highly likely that this condition may be the initial findings. Esophagitis – is the irritation and inflammation of the esophagus. The esophagus is the tube that brings the food you eat from your mouth (throat) to your stomach). It is painful and can make swallowing difficult. Gastric ulcer – is a sore inside the stomach lining (gastric), or the upper part of your small intestine or duodenal. Stress fracture – is a small crack in a bone. It is also known as a severe bruising in the bone. Repetitive activities can cause it, and is common among athletes and runners. Pleuritic chest pain - the inflammation of the pleura (the membrane surrounding the lungs and lining the chest cavity) causes pleurisy or pleuritis. It can be a result of viral infection. Severe pain is felt, but would go away after a while. Pleuritic pain is a severe, sharp, and stabbing pain on the affected area. The pain is further triggered by coughing and breathing. Pneumonia - a lung infection (inflammation) characterized by coughing, high fever, and difficulty in breathing. It usually affects the microscopic air sacs in the lungs, known as alveoli. Radiculitis - or radicular pain is pain that radiates along the dermatome or sensory distribution of a nerve due to the inflammation or irritation of the nerve root or radiculopathy at the connection to the spinal column. Herpes zoster – a viral disease also known as shingles, is characterized by a painful skin rash with blisters in a localized spot. Muscle tears – pain in the muscles can be caused by muscle injury or tear, or strain. Metastasis – the spread of cancer cells to other parts of the body, usually by way of the bloodstream or lymph system. The patient may feel pain all over the body. Abdominal diseases – the most common are indigestion, inflammatory bowel disease, appendicitis, ulcers, gastritis, indigestion, gall bladder inflammation. Doctors have different options to make a correct diagnosis of the slippage. The most common are physical examination and sonography. However, this is frequently overlooked due to the lack of easily accessible paraclinical procedures and thorough clinical exams have been replaced by CT scans because faster results can be obtained. Sonography: Sonography is a medical procedure that utilizes high-frequency sound waves in producing visual images of blood flow, tissues, and organs inside the body. It is painless and depending on what the doctor suspects, sonography is used to examine the breasts, prostate, heart, abdomen, female reproductive organ, and blood vessels, among others. It is more popular in obstetrics, where sonography is used to establish the age, number, and location of a fetus, and detect potential birth defects. It is known as ultrasound. Sonography can precisely count and depict interchondral joints. If used to check to examine the thoracic wall, sonography will show the extent of the dislocation of the rib or ribs. 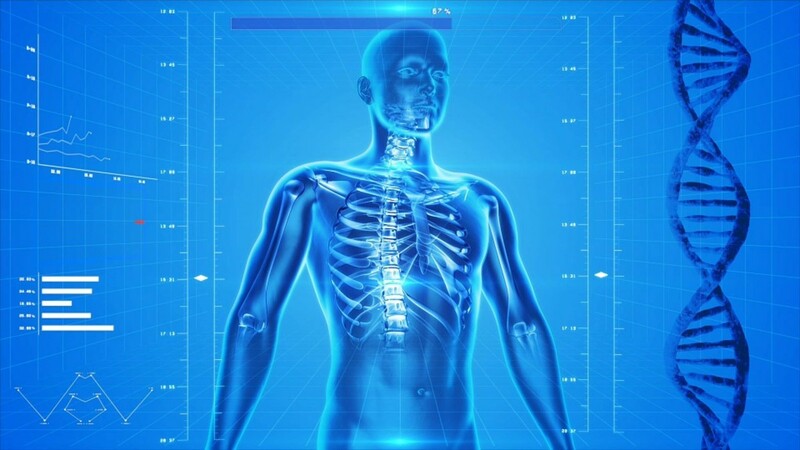 It is also used to rule out other related conditions, like fractures of the ribs, abscesses, muscle tears, abdominal diseases, pleuritis, and metastases, to obtain an accurate diagnosis. Physical Examination: First used in 1977, the hooking maneuver is a clinical test that is used to correctly identify rib slippage. Radiologic Investigation: In general, radiologic imaging does not give accurate results to diagnose the condition. However, it is used to isolate other conditions that have similar symptoms with rib slippage. Evaluating the patient - doctors specifically look for certain postures or movements and the intensity of pain to get initial diagnosis. Doctors establish whether the patient was subjected to a recent trauma. Chest pain is reproduced via the palpitation of the chest wall and ribs. Hooking maneuver - is used to replicate the symptoms. The doctor will place his fingers below the lower edge of the chest (also called the costal arch) of the patient and then pull the hand to the front. If there is pain or clicking sound on the ribs, it is a positive result. Valsalva maneuver - a physiotherapist can be brought in to establish rib constraints if there are irregular movements and an absence of symmetry of the poster chest wall during deep breathing. While the Valsalva maneuver is being performed, there is a possibility to have palpitations during the contraction of the abdominal muscles. As the syndrome is frequently falsely diagnosed, the clinician and physiotherapist should look for an association between the established movements and pain, constrained posture, recent trauma experience, and previous surgery. Doctors will be looking for the intensity of the pain around the lower chest area and abdomen. The examination will also yield a positive result if the patient would feel severe and sharp pain in the abdominal wall and anterior costal margin. Sometimes, there will be a painful click over the tip of the affected costal cartilage with certain postures and movements. The affected area feels tender and seems to move more freely than normal. Swimmers are more vulnerable to acquiring this medical condition. With their constant training, their chest could be overworked. The chest area, the shoulders, and the hands are all involved. This section will present a case study of a collegiate swimmer who suffered from unresolved pain in the ribs for about nine months. The 20-year old swimmer was jumping up and down to warm up for a race, when she suddenly experienced pain in the lower left area of the rib cage. She managed to complete all the events she was supposed to compete in, with moderate discomfort in the chest area. The condition of the swimmer was only evaluated 3 days after the event, and treatment took 9 months to complete, with an experienced team of doctor, chiropractor, a thoracic surgeon, and a non-surgical sports medicine physician. Differential diagnosis included the obvious, fractured rib, and other conditions, including oblique strain, intercostal strain, pleuritic chest pain, hepatospheric conditions, somatic dysfunction, and rib slippage. The swimmer was subjected to a 4-month period of conservative treatment (activity modification, ultrasound, ice, hot packs, and non-steroidal anti-inflammatory drugs). A chiropractor was asked to intervene and provided about 12 treatment sessions, 4 to 6 months after the injury. The patient was also subjected to physical therapy sessions of 10 visits with a non-surgical sports medicine doctor, about 6 to 8 months into the treatment. Lastly, the athlete had to undergo surgical intervention 9 months after the initial symptoms manifested. 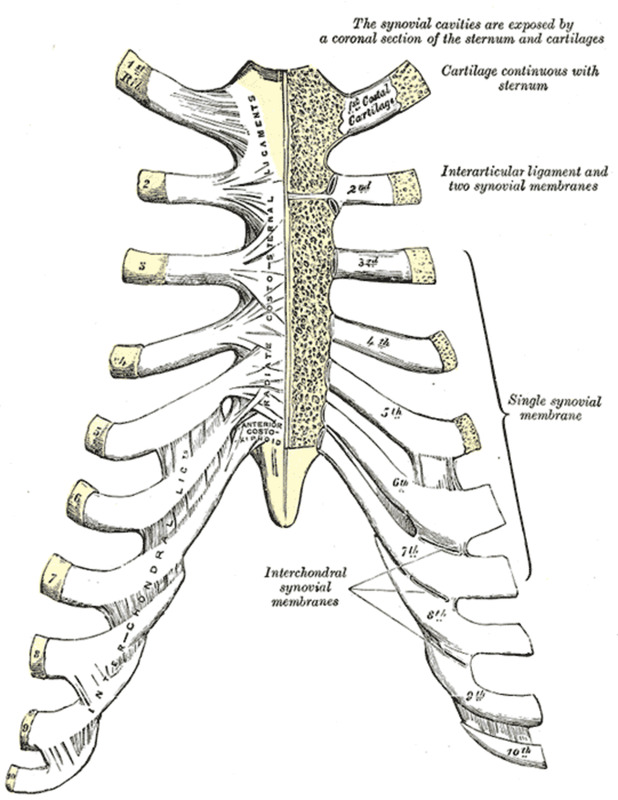 Rib slippage was first identified in 1919. But most of the health care professionals who are part of the team that helps train and treat athletes and other individuals with an active lifestyle were not familiar with the muscoskeletal condition. Clinicians and doctors should familiarize themselves with this medical condition because misdiagnosis is common. They should be able to consider slipping rib syndrome as part of their assessments when making a diagnosis. Remember that pain and swelling may be mistaken as symptoms of abdominal problems. If left undiagnosed, the pain can become chronic, which can last for years. Rib mobility can be caused by the weakness of the cartilages and ligaments, which are responsible for the mobility of the ribs. Once diagnosis has been accurately carried out, the patients and their families should be educated about the condition. Simply dismissing patients by saying there is nothing serious about the condition may not be enough. It is important to reiterate the avoidance of certain postures and movements that can aggravate the symptoms. However, for patients who have a more severe condition, nerve blocks and surgery might be the only options to put back the displaced ribs to its place. It is important for trainers and doctors to reiterate to athletes to report any pain felt, whether mild or severe. Prevention is always better than cure. For patients who are suffering from rib slippage, aggravating factors include lying on the right side, taking deep, long breaths, and increased swimming activities, which include dolphin kicks and butterfly strokes. Alleviating factors may include rest and taking pain medications. If the patient becomes unresponsive to pain medications, further options should be undertaken. For most patients, they are feeling this kind of pain for the first time, hence, it is easier to misdiagnose. Doctors and patients should make sure that thorough evaluation of medical history is done, especially if patient underwent surgical procedures in the past. There are several options for the treatment of this medical condition, from physical therapy to taking medications, and in extreme cases, surgery. The following are just a few of the most commonly used treatments to alleviate pain and correct rib slippage. If you are considering getting treatment, it is best to know more about your options before settling for a specific treatment. This is one of the most useful treatment options for rib slippage. Physical therapy helps strengthen the muscles that are supposed to help hold the ribs together. The treatment involves different exercises such as segmental breathing, stretching, and rotation exercises. Specific to slippage of the rib, the patient will be advised not to perform certain movements that will trigger pain. Exercises will depend on how intense the pain is. For moderate pain, the patient will be required to wear an elastic bandage around the thorax for one to two weeks, for pain management and to provide support. Anti-inflammatory drugs are prescribed to help relieve pain and inflammation of the affected area. Doctors believe that the slippage is because of several factors and conditions, including inflammation of the costochondral junction. Treatment that may be used could include anti-inflammatory drugs, more commonly referred to as NSAIDs. Chiropractors define a chiropractic adjustment as manually performing (by hand) a highly skilled and precise movement to a specific joint in the patient's body. This process will help loosen the joint to bring back proper movement and function. There will be a popping noise as the chiropractor adjusts the joint; this is due to a gas bubble that escapes during the process. The techniques used are carefully researched and tested to make sure that they are safe and bring about appropriate healing. Reports of complications and side effects are quite rare, except for the temporary soreness after the adjustment, which is just a minor side effect. The chiropractor will have the patient lie on their stomach on a chiropractic table. Adjustment will be applied to the area where the rib is irritated. The process of adjustment is quick. After the adjustment, the patient will know if the procedure was a success. Often, the pain immediately goes away. There are times when the muscles around the affected area would remain tender to the touch; it will completely heal in time. The patient will be asked to sit at the end of the chiropractic table, facing away from the table. The chiropractor will lower the patient onto the table. As this gets underway, there will be a popping noise or click once the patient reaches the table. 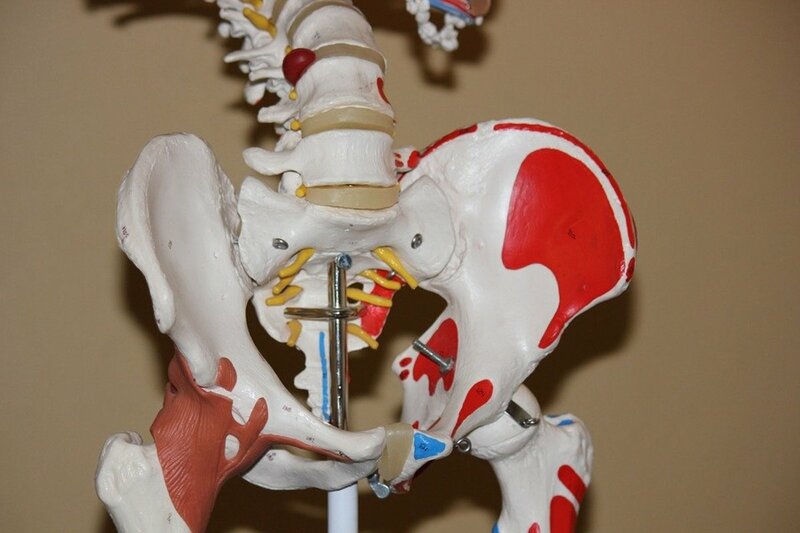 Only highly trained chiropractors and practitioners can perform this sensitive procedure. It is important to consult a trained practitioner when you are thinking of getting this treatment. In ultrasound therapy, the affected nerve will be blocked. This process will help assist in the mobilization of the rib. It will also help reduce the swelling that is evident in between ribs. There are other options, like exercise, that have the same effect. However, it is important to consult with your doctor first before trying out exercise techniques that you can get from the internet. The wrong exercise technique might worsen the condition. Take note, as well, that the pain should be alleviated only after the exercise process is started, otherwise, it will only be a futile attempt to treat slipping rib syndrome. The patient will be given incobotulinumtoxin A intramuscular injection to the muscles of the rib cage. The injection will be aimed onto the lower end of the rib cage muscle. This treatment helps alleviate pain completely. Botulinum toxin is considered as one of the most poisonous biological substances. It is a neurotoxin derived from the bacterium Clostridium botulinum. This neurotoxin helps block the release of acetylocholine, which is the principle neurotransmitter at the neuromuscular junction, which causes muscle paralysis. Prolotherapy treatment is often used to relieve chronic pain. Doctors use prolotherapy for patients suffering from the condition to help enhance the natural healing process of the body, as it helps stimulate the nerve endings. This treatment influences mild swelling reactivity in the ligaments or cartilages, thereby stimulating the nerve endings on the site and initiates the natural healing process. A substance will be injected just next to the area where the soft tissue (tendon, muscle, ligament, cartilage, fascia) has been torn. The substance used is a natural irritant agent, like sodium morrhuate (purified derivative of cod liver oil), and sugar (glucose or dextrose), alone or mixed with phenol and glycerin. It is typically given with local anesthetic. Surgery is often the last option, when all the other treatments weren't successful in bringing back the ribs to their proper position. The amount of time needed to completing the treatment will depend on how severe the damage is. Recovery from the condition may take a few days to a year, depending on the methods used. With surgery, it may take a couple of weeks to months to ensure complete recovery. A rib or ribs that slipped out of place can be a source of sharp and excruciating pain, one that can make your breathing uncomfortable and simple coughing or sneezing become unbearable. There are instances when pain of great magnitude resembles the pain caused by a stroke or heart attack. At this stage, surgery is the only option. There is a variety of options for a surgical procedure. They include the correction of the dislocated rib or the removal of the affected cartilage. Before the surgical procedure, your surgeon will advise you not to eat anything solid and to just drink water. The procedure would require the use of general anesthesia, hence, solid food in your system (a day before surgery) could be dangerous, or fatal. Re-sectioning of the affected rib or ligaments will alleviate pain, and may potentially provide permanent relief. A surgical intervention will correct the abnormality in the attachment of the ligament or placement of the affected rib. Rehabilitation may need six weeks of rest with mild exercise. The outcome is often satisfactory. The doctor may recommend some changes in your lifestyle to help complete the treatment and healing process. There are mild and momentary activities that can help improve the condition, as well as prevent the recurrence of the condition. Activities that will be stressful to the chest area should be avoided. Don't laugh, sneeze, or cough too hard, lest you strain your rib cage again. Avoid exercises that will put direct pressure to the chest, like push-ups. Avoid sports activities that will require you to throw or pitch until the condition is resolved, like basketball and football. Doctors also recommend increasing your consumption of essential fatty acids. The root of burdock is known to have a high fatty acid content; it also has excellent anti-inflammatory properties. You can eat it raw or dry. You can also add it to your meals or make a tea or soup with it. Turmeric and ginger are also good choices for their anti-inflammatory properties and are effective in pain relief. Add to your meals, juices, or brew as tea. The condition may affect your daily activities because of the pain, hence, you need to choose the right exercise and treatment. When researching for which exercise to use, make sure that you consult with your doctor because there are exercises that only worsen the condition and may also slow down the healing process. There are other exercises that might turn the condition into chronic pain, which might need medication, or even surgery to bring back the dislocated rib to its proper position. When performing extensive exercises to bring back the rib to its proper position and to increase joint mobility, it is important to do so with extreme caution. Being able to treat rib slippage at its early stages will allow you to gain better moves, and prevent further damage and more excruciating pain. It is necessary to reiterate that you should set a limit to how far you can go in terms of the level of difficulty of the movements you can perform. You should not push yourself beyond your limits so as not to make the condition worse. Learning to control your breath prevents further damage. Hold for about 10 to 15 seconds before gradually releasing air. Make 5 to 10 repetitions. Extreme care should be done when performing this exercise. A medical assistant should help you when you do this. Pressure needs be applied to the chest walls. When pressure is applied, inhale to take in air. Spread out your chest muscles. Once the medical assistant releases the pressure on your chest wall, slowly exhale to release air. The therapist will apply pressure where the ribs are attached to the sternum. You will breathe in to help spread the lungs while pressure is applied on the ribs. You will arch your back and expand the rib cage. Bend forward while putting pressure and compressing your ribs and chest. Perform this exercise using your own comfort level to set your limitations. On your seat, turn your chest and shoulders as far side as you are able. The movement is like turning and looking over your shoulder. Do the same movement on each side. First, cross your arms in front of your chest, and then grab your sides with your hands. Give yourself a big bear hug squeeze. You will hear a popping sound that indicates it has been corrected. You may try yoga exercises. Lay on the mat and wrap your hands around your knees. Roll them up to your shoulders. Go back to the seated position. Repeat until you hear a popping sound. If you sleep on the side, you may want to try a change of position. Try to stop using a pillow to keep an equal level to your head and back. Displacement or dislocation of the ribs may not be a common occurrence, but it is still a possibility. When it happens, it should not be dismissed as something minor that will go away on its own. It is important for those identified to be at higher risk to be informed on the important facts about the condition. This will help in the proper diagnosis by doctors and in coming up with the appropriate treatments. "Slipping rib syndrome." Caring Medical Regenerative Medicine Clinics. Retrieved Jan. 20, 2017. "Slipping Rib Syndrome & Exercise." Livestrong. Retrieved Jan. 20, 2017. "Slipping Rib Syndrome in a Collegiate Swimmer." PMC, US National Library of Medicine. Retrieved Jan. 20, 2017. "Costochondritis." HealthLine. Retrieved Jan. 20, 2017. "Slip & Slipped Rib Syndrome." Brain and Spine Institute of California. Retrieved Jan. 20, 2017. "Slipping rib syndrome." Physio-Pedia. Retrieved Jan. 20, 2017. Do you have pain in ribcage? What about Ehlers Danlos Syndrome? I have a mutated form of Arthrochalasia Ehlers Danlos Syndrome and Hypermobile type. It causes all my joints and ribs to dislocate or sublocate constantly.